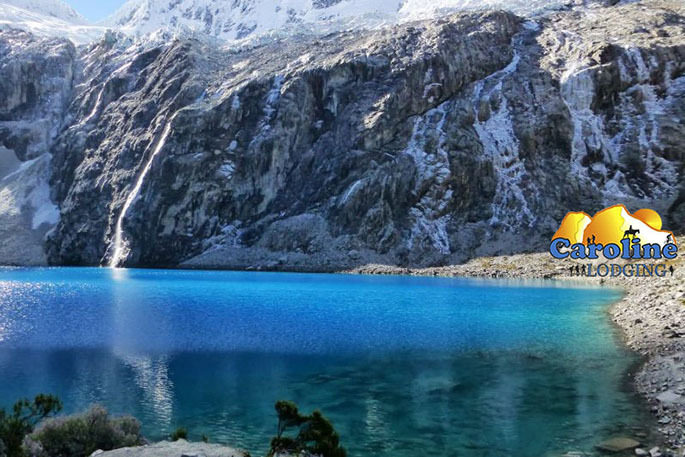 A beautiful laguna located at the base of the Chacraraju glacier. From here you will enjoy amazing views of the Huascaran ,Chopicalqui and Pisco mountain peaks. Along your hike you will find a large variety of flowers, some waterfalls and other small lagunas. It takes about 3 hours by bus to reach Cebolla-Pampa (3950 m.a.s.l), the starting point of the hike. Another 2 to 3 hours walking will lead you along a clear well marked zig-zag trail to the laguna at 4600 m.a.s.l.For the well trained hikers we offer an alternative route climbing up to the Refugio de Peru,4780 m.a.s.l.You will be awarded with still more different and stunning views of the Pisco, Yanapacha and Chopicalqui glaciers.From here you hike down to Laguna 69 and back to Cebolla-Pampa.Estimated duration : 6 hours.Pls advise the guide if you choose to do so, for the guide will not come with you. Not included : The entrance fee for the national park and meals.